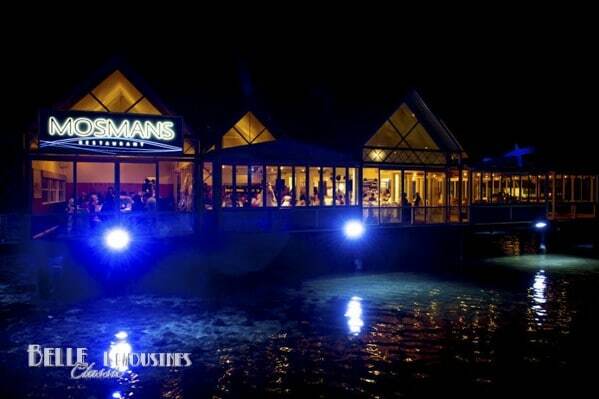 Mosmans Restaurant is one of Perth’s favourite seafood restaurants. Sitting by the window in Mosmans enjoying a slow lunch with a loved one and a bottle of wine is one of life’s rare pleasures. Over the last three years it has also become a popular wedding reception venue hosting weddings on most Friday and Saturday nights. It is the combination of a great location, great food and wonderful service that have lifted Mosmans to a first choice reception location. 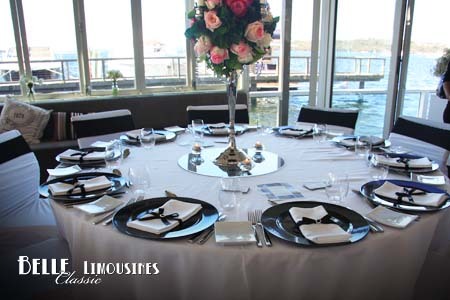 Mosmans also assist with linking couples to a talented group of preferred suppliers which takes the pressure off couples trying to locate reliable businesses to assist with their wedding. 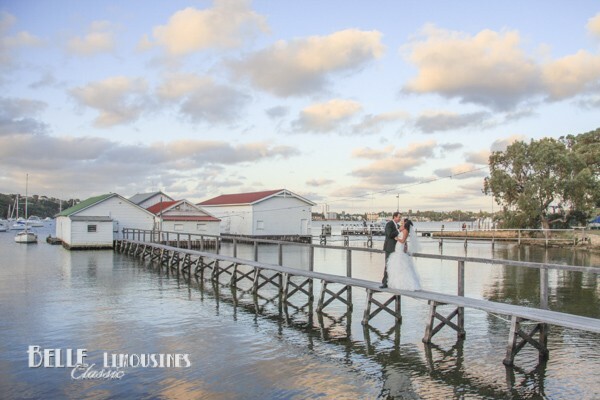 The surrounding parks and waterfront reserves offer a range of great wedding ceremony locations and photography backdrops which enable couples to keep their wedding day confined to a relatively small travel requirement and thus maximise their time enjoying the occasion. 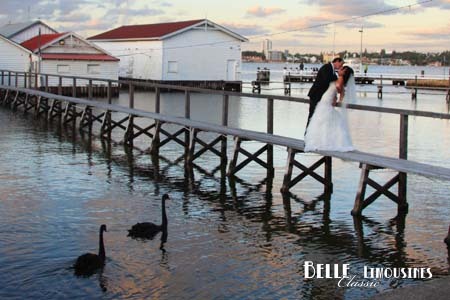 The jetty park beside Mosmans is very popular and gives access to Mosmans facilities shortly after the ceremony. When the wedding limos pull up at Mosmans to collect a couple from their reception for a late nigh get-away to their hotel, the venue is electric. General parking near Mosmans is in the public car parks up the hill along Johnson Parade. The path from the car parks to the venue is steep and can be quite a challenge for ladies in high heels at the end of the night. It is preferable to advise guests to drop the elderly and ladies at the restaurant drop-off zone before taking the vehicle to the car park. Similarly they can be collected from the same place at the end of the night. Mosmans Restaurant needs to be approached from the city end of Johnson Parade to access the set-down zone. Exit Stirling Highway into Johnson Parade or Glyde Street for the best approach to the venue. 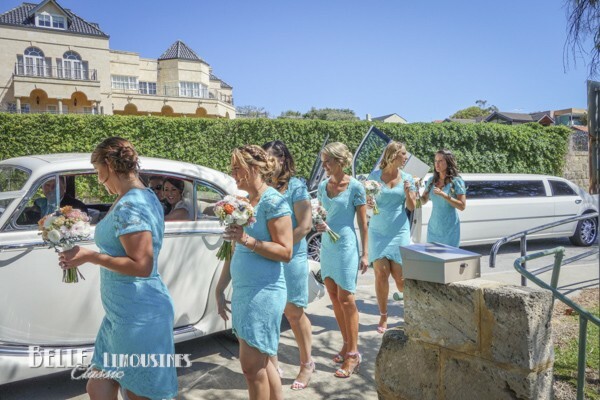 The set-down zone at the front of the restaurant will also be required by the wedding limos when the bride is delivered to the ceremony or the couple arrives for the reception so it is important that your guests do not leave their cars there in stead of the car park. The car parks on the hill side are not suitable for larger wedding transport like Chrysler limos. 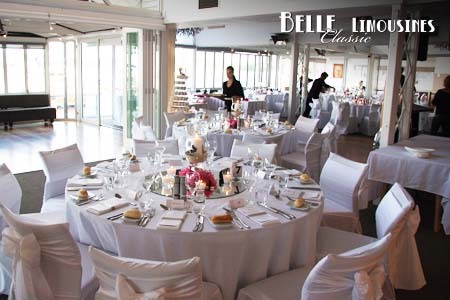 Apart from the set-down zone in front of the venue there is no other parking possibilities along Johnson Parade either so the wedding transport must have the restaurant set-down zone reserved for use, otherwise the limos will need to park several hundred metres away and be called when required to collect passengers from the venue. 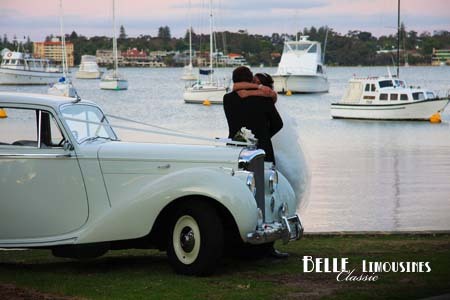 Access to the ceremony location beside Mosmans is also possible with traditional wedding cars. Mosmans staff have the key for the bollard and the wedding car can then deliver the bride to a red carpet entrance to the river-side ceremony. Some brides prefer the walk along the path to the location too. See photos of this in the Mosmans gallery page. 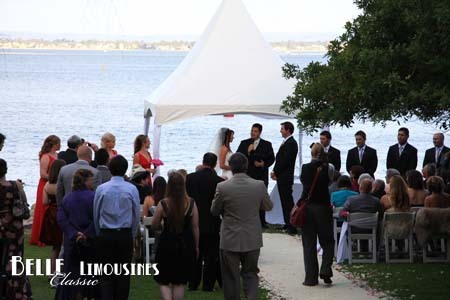 Due to the steep drive away from Mosmans most couples retain the wedding limos for transport to the various photo locations around the Mosman Park area (Bay View Terrace or Freshwater Bay) or to drive to the Cottesloe Beach or Fremantle areas nearby. Parking at the restaurant is not as straight forward as many land based venues but there is sufficient parking nearby for guests at a typical Mosmans wedding. The challenge is that the parking is halfway up the hill to Bay View Terrace and the walk is quite steep. There are two parking bays and a loading zone adjacent to the restaurant entrance. Our advice is to drop guests at the loading zone and then have the driver proceed to the parking area and walk down the hill. The opposite is recommended at the end of the night, however, there is limited opportunity to turn safely near Mosmans Restaurant so it is safer to drive up the hill and around the block (not that many people will take the extra two minutes to do this). The area is also a popular picnic and walking area so don’t be surprised if the car park is busy or full late afternoon when guests are arriving. 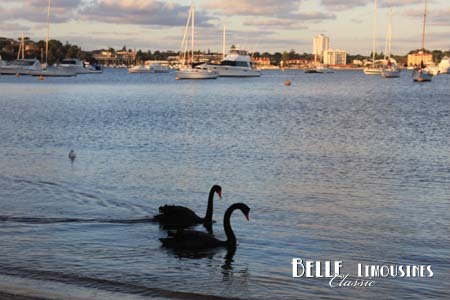 It will vacate by sunset but the only other parking in the area is at the top of the hill on Bay View Terrace or further along Johnson Parade nearer to the boat-ramp next to Royal Freshwater Bay Yacht Club. 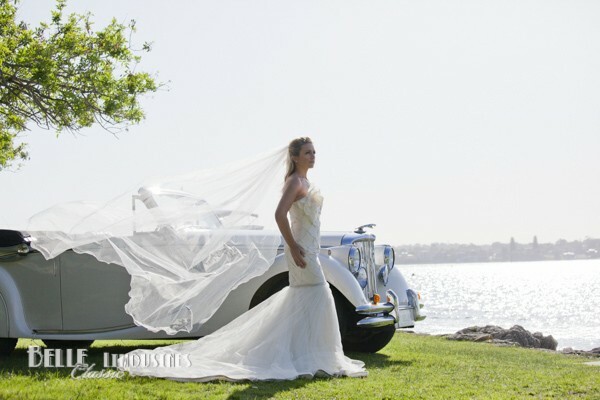 We recommend that you pre-book the bride and groom’s end of wedding transport to their hotel. There is nothing more embarrassing than finishing your reception, saying farewell to your guests and walking out to the front of the venue to wait for a taxi that might not arrive. It is also considerate to book chauffeur cars for parents and grand parents if they are not driving home. Taxis and short call services like Uber and Schofer are all all the rage at the moment and along with taxis the supply of cars has greatly increased over the last two years. It is worth remembering that drivers with short call services frequent the popular hot spots like Perth city, Crown Casino and Fremantle where they do not need to wait long for fares. Also most hotels, night spots and weddings finish in the 10.00pm to midnight window and the demand will often be greater than the supply especially if you are in an ‘out of the way’ location, so the wait for a car can be significant at the end of a wedding night even at at central location like Mosmans. 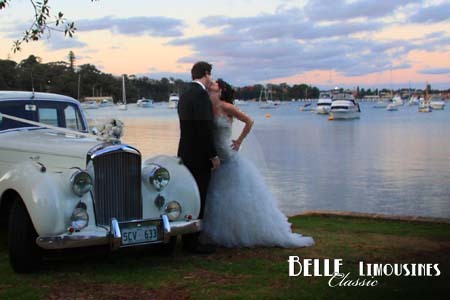 Belle Classic limousines is the preferred wedding car supplier at Mosmans Restaurant, so expect a warm reception if you bump into the staff and remember to say hello when there. The main drop-off point is the loading zone near the restaurant entry. If it looks like the loading zone is occupied then there is no alternative apart from double parking and requesting a ‘quick exit’ from the guests. Similarly when picking up at Mosmans the loading zone is the preferred pick-up point. If you arrive and the loading zone and car parking bays are full, there is no nearby parking. Depending upon your time frame you may need to double park and alert your guests that you will be parked nearby and to phone when they are ready to be collected. 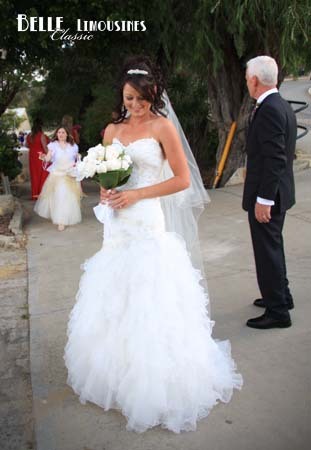 Wedding ceremonies at Mosmans Restaurant are held in the park down the path from the restaurant entrance. 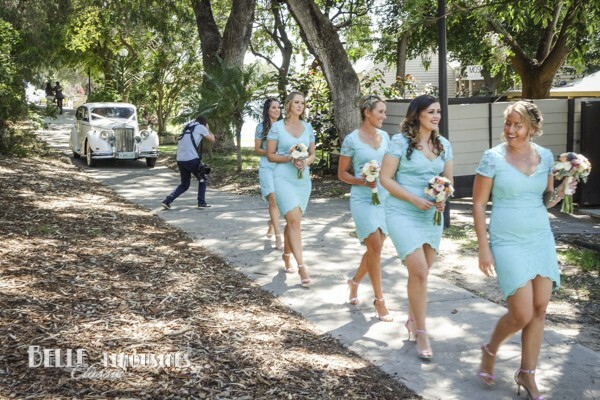 If required the classic wedding cars can drive along the path to the ceremony location.